Baby girl has grown from an estimated 15.7 inches to 16.25 inches long. On average she could have grown from 2.75lb to 3.3lb and is really starting to fill out now. Over the next few weeks it's all about bulking out and forming some fat beneath her skin. I can really tell she is growing rapidly now because there's less room for her to wiggle around and her movements feel different, it's like there's a baby dolphin swimming around in there! She's hard at work practising to breathe and often gets bouts of hiccups which is such a strange but lovely sensation! Her eyes can now dilate and change in the light and she often responds to hearing our voices, especially Noah's. This Mummy is aching from head to toe! This pregnancy has been so similar to my first in some aspects but so totally different in others. I've had a lot more symptoms, aches and pains this time around and I think that is mainly because it's my second pregnancy, labour and pregnancy the first time around must have wrecked my body! I have quite bad pelvic and lower back pain at the moment and when I wake up in the morning I can't walk for a few minutes. It also makes it difficult to be on my feet for a long time and getting asleep at night is quite tricky too. Nausea has also returned and heartburn is still rearing it's ugly head. I've also got low iron which I had with Noah so I'm on the supplements again which also add to the not so pleasant symptoms, ha ha. All this aside I'm still really enjoying pregnancy, I don't think much could ever change that. Even now on the last stretch of my second pregnancy I'm still totally in awe at the whole experience, I think it's incredible. I'm really trying to savour every moment as I know this will probably be the last time I will be pregnant and I know that I'll really miss it. 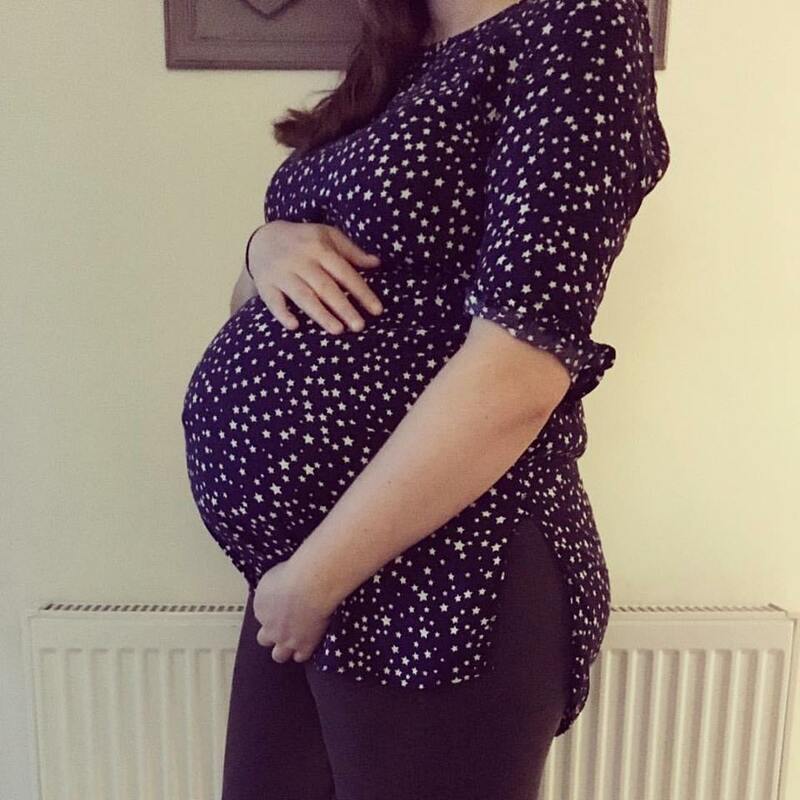 I still can't get my head around how quickly this pregnancy has flown by. It only feels like yesterday when we were trying to conceive and I was documenting my first trimester of pregnancy. To think that she could be here in just 9 weeks time is just crazy! I feel so unprepared this time around because with Noah I had everything sorted quite early on. I think with your second pregnancy you are a lot more relaxed about the whole thing and you have another child occupying your attention too so there's not as much free time. As soon as we get into the new year I have to start getting everything ready for her because I have a feeling she may come early. We will have to wait and see! you don't look like you have put on any excess weight other than the baby bump which is good. I became elephant like all over when I was pregnant but I must admit I enjoyed the myth of eating for two!! Oh wow! Time is flying by! body has and is adjusting in order to maintain pregnancy and prepare for birth. Such an amazing part of Human Biology etc. Wonderful that you keep and share a record of your experiences. Likely to be so beneficial for yourself, family and others. I remember those days of aches and pains and taking a few minutes every morning to get moving, bless you! I hope the nausea passes soon! I'm so glad things went well for you. January already. Won't be long till baby makes her arrival. 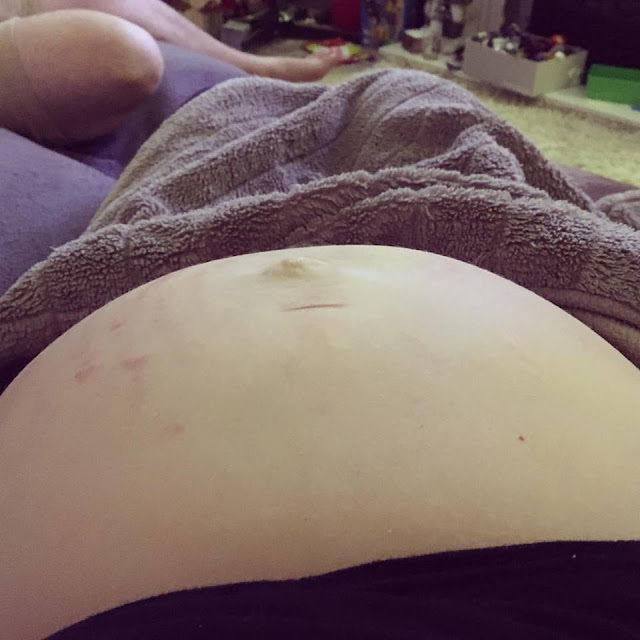 I'm currently 31 weeks pregnant. Heartburn is awful! Cannot wait to meet my little girl.